The past 40 years have established recruitment as a fundamental area of research to both researchers and practitioners. No longer is recruitment viewed as simply another component of human resource management but rather a strategic tool with wide-ranging implications for organizations. To this extent investigations on the subject have drawn upon diverse perspectives from economics to marketing, highlighting recruitment's links with multiple aspects of organizational functioning such as selection, onboarding, organizational culture, job performance, and turnover. The goal of this handbook is to provide an integrative and comprehensive summary of the state of recruitment research. It is hoped that by providing insight to both theoretical and empirical underpinnings of the topic this volume will focus readers to the important issues affecting our understanding and application of recruitment concepts; and provide structure toward current thinking and future exploration of the field. In the spirit of investigative inquiry, the book's chapters are organized according to the questions they answer about the nature of recruitment: Who is involved in recruitment; What do these stakeholders do; When do recruitment phenomenon occur; Where does recruitment take place; Why does recruitment influence various stakeholders in the process; and finally, how is recruitment investigated? 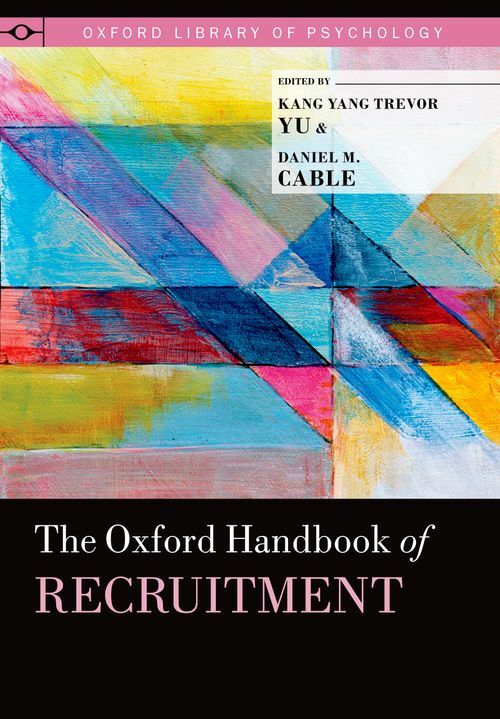 Aimed at both potential and existing recruiters, the expert contributions included in this handbook serve as a springboard to energize and focus future endeavour in recruitment, an increasingly pertinent driver of individual and organizational success. 24. The Goldilocks Pursuit during Organizational Entry: Applicants' and Recruiters' Search for the "Perfect Fit"
Kang Yang Trevor Yu, , is Assistant Professor in Organizational Behaviour in the Division of Strategy, Management, and Organization at the Nanyang Business School. Daniel M. Cable, is Professor of Organisational Behaviour at London Business School.